Tusla, Child and Family Agency, is recruiting nine social workers, most of them to senior grades, in response to failings identified by HIQA in child welfare and protection services in the South Central Dublin Area. According to the independent watchdog, last September Tusla was sourcing over one-third of the area's non-managerial social workers from agencies. 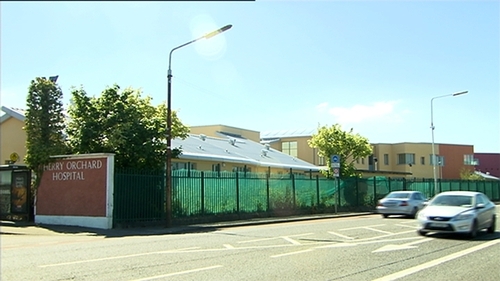 An inspection by HIQA found that Tusla's Dublin South Central service area delayed for a long time in responding to concerns that children may be at risk. Inspectors also found that even those children who were allocated a social worker received a varied service. The agency's service area reviewed by HIQA stretches from Ringsend to Ballyfermot to Lucan and encompasses Clondalkin and Rowlagh. It contains almost 66,000 children and official data suggests that many of them live in "very" or "extremely disadvantaged" neighbourhoods. HIQA launched its first-ever inspection of the area after it noted 619 unallocated child protection and welfare cases last July. This represented a 450% increase in just six months. Today's report on the late September review fails the service on five of the six standards assessed. 232 referrals were awaiting preliminary inquiries. Screening of referral information for potential risks to the children was poor and risk ratings were based on limited information, resulting in inadequate responses to some children who were at risk. 261 screened cases were awaiting the allocation of a social worker to assess them either initially or in follow-up work. But Tusla had no formal system to address the backlog. During the inspection, HIQA requested assurances from Tusla about the safety of children in 16 cases. The agency replied that robust safety plans had been implemented in 12 cases, one closed case had been re-opened and in three on-going cases, significant risks had been identified. Tusla has accepted the report noting that it supplements its own work in identifying deficiencies. Focussing on the 14 vacancies - a fifth of all social work posts in the area - Tusla says it is in the process of recruiting five principal and senior social workers while filling four new social worker posts. Separate from these vacancies, a breakdown of the headcount supplied to HIQA reveals that 37% of all non-managerial social workers are sourced from private agencies. A spokeswoman for the Irish Foster Care Association said this demonstrates that Tusla has difficulties in attracting and retaining social workers because case loads are often unmanageable. Catherine Bond said this was evident in today's HIQA finding that in a significant number of cases files were not up-to-date and case notes were not routinely completed. She added that it is essential there is clarity and consistency of practice within the service and that children's services are resources adequately.